Kevin: I hear you had a wonderful time in Mexico. Barbara: Yes, it was a fabulous trip. Kevin: Where exactly did you go? 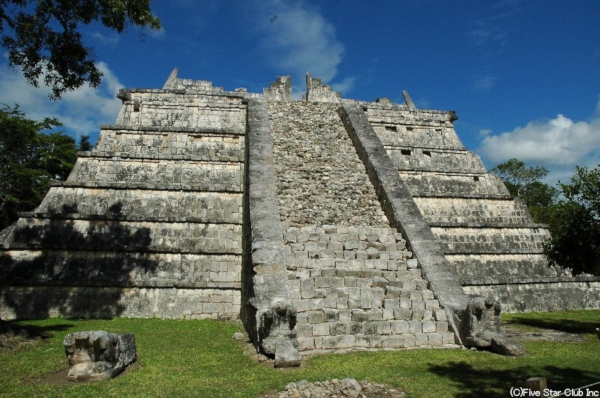 Barbara: We went to the Yucatan Peninsula. Would you like to see some photos? Barbara: These are Mayan ruins. I’m very interested in Mayan culture. Kevin: They’re amazing. Wow! Look at the color of the sea. And the sea turtles. Barbara: Aren’t they beautiful? You can swim right next to them. Kevin: I’d love to do that. Your photos are really high quality. Barbara: Well, that’s because all the photos were taken by my boyfriend. He’s a professional photographer . All the photos were taken by my boyfriend. John got fired this month. The whole town was covered with snow. I have some good news. I finally got promoted! John was attacked by a dog.